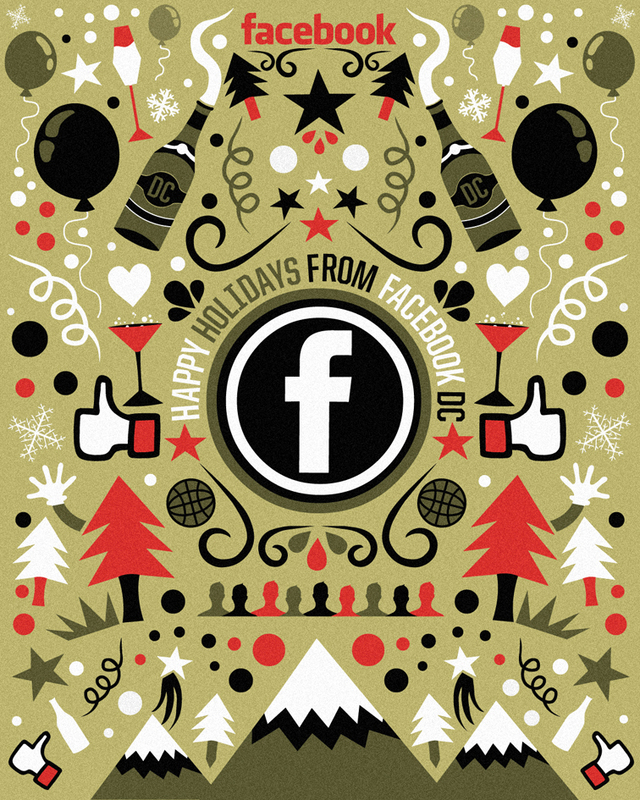 After collaborating on a Politics Poster Illustration project for Facebook, the team at Facebook’s DC bureau commissioned JESS3 to design their 2011 holiday card. Illustrating the faces of every office member, JESS3 created a unique and memorable greeting for their friends and family. 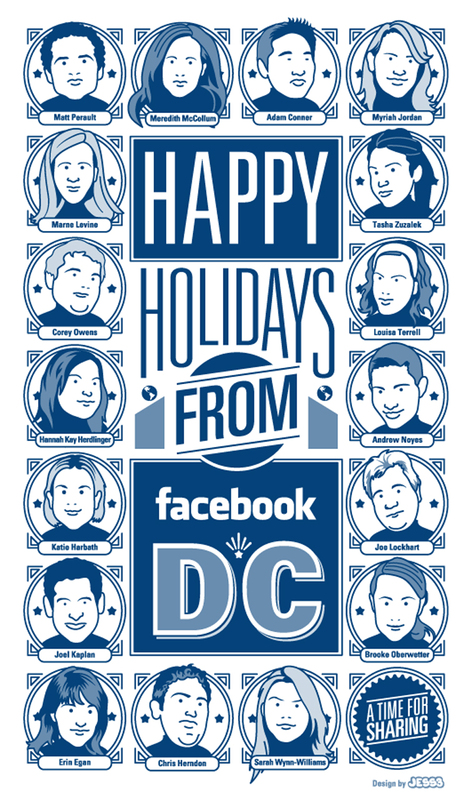 Using headshots of each employee, JESS3 illustrators created a fun montage of caricature-type portraits for the Facebook DC greeting card. The theme is unique yet simple, a fun embellished play on traditional Facebook user profiles.